Do you remember that moment? You know, the moment you saw the line on the pregnancy test and knew that you were having a baby. I remember both times pretty well. Let me take you back to the end of December 2002. TechyDad and I had just gotten back from Las Vegas and were upset to learn that our digital camera had been stolen from our backpack while we were in the Pittsburgh airport coming home. We went to bed that night furious about the memories of Cows on Parade that were gone. Still, we both knew that the next morning our lives may change. We had bought a pregnancy test and I planned to use it first thing in the morning when I woke up. At about 5 in the morning, I woke TechyDad up and told him that I had to use the bathroom. Unlike my usual self, I was having to make pretty frequent trips to the restroom. My teacher bladder had gone out the window, making us curious if I was indeed pregnant. So we went into the bathroom and I did my thing with the stick. We walked out and waited. When we both went back into the bathroom to check, we were greeted with a plus sign! We never took photos of that positive sign, but we did make calls to relatives at that early hour. We also made a special book of sonogram photos of NHL as he grew from a little bean shape into the little guy who would be born. Yes, I took a picture later on. I planned to use this picture to e-mail to family and friends to announce that we were expecting our second little one. I did and it was fun seeing/hearing/reading their reactions. After I saw the positive test, I ran into the bedroom and woke TechyDad up telling him he was going to be a Daddy again! Over the next nine months, we took photos of me pregnant and kept the sonogram photos of the little guy who looked like this once he arrived on the scene. What did you keep, document, or take photos of when you were expecting? Did you take a photo of your pregnancy test, or dare I ask . . . do you still have it? Yes, I’m serious. Apparently, people keep their positive pregnancy tests as keepsakes. When Mom Central asked people to sign up to tell people about our Mommy Moments, I signed up because it sounded like fun. As my baby days are behind me, I still cherish that time in my life. Mom Central also let me in on the pregnancy test keeping thing. I had never heard of this before (I’m naive I guess) and E.P.T. is making it easier for those that want to keep their pregnancy test memories for years to come. According to a recent survey commissioned by the makers of e.p.t. 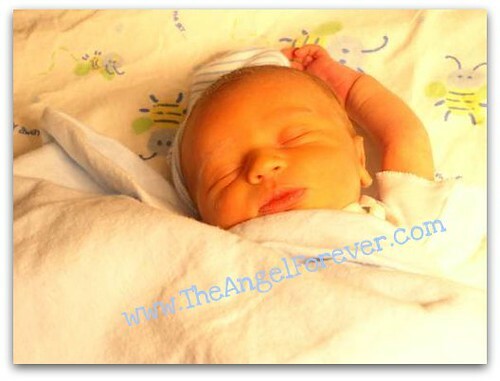 brand, the top three pregnancy keepsakes are ultrasound photos, items from the delivery day and at-home pregnancy tests. What’s more, 67% of expectant mothers saved their at-home pregnancy test – the first proof that they were pregnant – for reasons ranging from showing it to a partner to saving it as a poignant life-milestone keepsake. Now, e.p.t. offers women a commemorative Keepsake Case and scrapbook card to mark the life-changing occasion (available with a mail-in proof-of-purchase). I guess I am in the minority since I never saved my test longer than to take a photo for later use. Am I sad about this? No, not really since I have the memories of those magical moments to last me along with my two beautiful little boys. Disclosure: I wrote this review while participating in a blog tour campaign by Mom Central on behalf of e.p.t. keepsake case. I received a keepsake case to facilitate my review (willing to donate to anyone interested) and will also be receiving a $20 gift card to JustGive.org for my participation. I look forward to donating this to a great charity close to my heart.